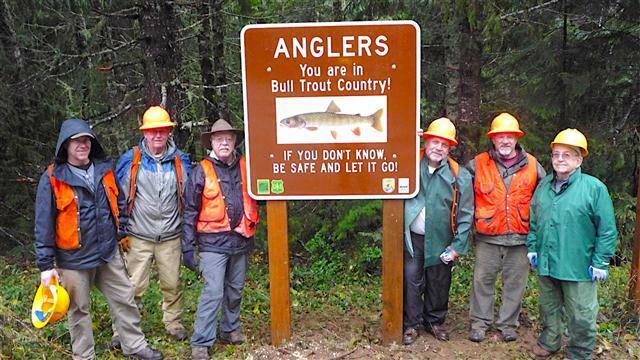 You are receiving this email because of your relationship with Trout Unlimited, Clackamas River Chapter. Please reconfirm your interest in receiving emails from us. If you do not wish to receive any more emails, you can unsubscribe here. Meetings are free to attend and everyone is welcome. Bring a friend and have a chance at some great raffle items! Water Time Outfitters and has been a friend of our chapter for years. We are pleased to have Rob back at our meeting. Owner and operator of Water Time Outfitters. It's April. Things are waking up, water temps are warming and the number of fishing opportunities increase by each passing day. Winter steelhead, spring chinook, spring trout and various warmwater species are all becoming active now. Not sure what to pursue or where your best chances of having a successful trip will be? Rob Crandall will give us a great rundown of all the possibilities in the spring fishing arena. You won't want to miss this pitch. Whether on the Deschutes, Clackamas, or Oregon’s North Coast streams Rob’s ongoing love of fly fishing is evident. 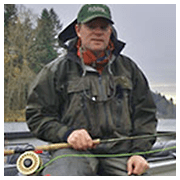 Rob has been a licensed Oregon fishing guide since 1992 -he grew up on the banks of the Clackamas River chasing anything with fins but especially steelhead. You may have seen him on a number of different tv shows with Flyfish TV, Frontier Unlimited or Columbia Country TV. Rob is the past editor of Flyfishing & Tying Journal magazine, has been a contract fly tier for Spirit River Flies and Aqua Flies and has just released a DVD with Flyfish TV called Winter Spey Strategies. Guiding, teaching or tying flies Rob loves to share his knowledge with others passionate about the sport. May 8, Jason Osborn Trout fishing SW Wash. There are still a few openings for our youth camp coming up in July. If you know of any young boy or girl ages 10-14 that wants to spend a fabulously fun weekend learning about fly fishing, fly tying and conservation, please have them contact David Tenney for details and registration. Eagle Creek Steelhead Surveys Underway. CRTU Survey teams have counted 11 redds so far this season on our stretch of Eagle Creek. This matches our total from last year and teams have had better survey conditions with a lower water year and favorable weather. CRBC will be conducting a planting session near Estacada on Saturday, April 21st. Check out the latest projects underway on the Sandy River Basin. The Sandy River Basin Watershed Council does amazing work in the basin and there are many opportunities for volunteering there. The Following Businesses have Supported our Chapter and the Oregon Council of TU. Please support them with your business. The next Oregon State Council meeting will be April 21st at the Oregon State Campus in Corvallis. Greg Apke from ODFW and updates from the TU National Staff in Oregon head the agenda. Council meetings are an opportunity to provide face to face interactions with Council Staff, Chapter Leaders and National Staff. 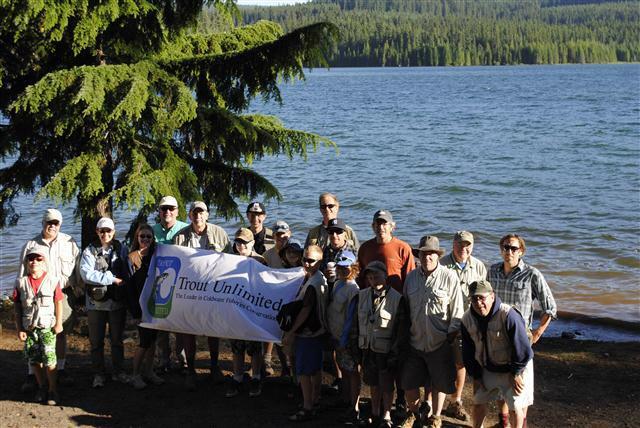 The council board is made up of chapter representatives, along with the elected staff members and are an important part of the grass roots organization for TU in Oregon. One of the key functions of the Oregon Council is to promote sensible science based fish and fish habitat policies in Oregon. The Oregon Council hosts an Advocacy committee that watches legislative progress and key agency meetings that impact fish and fish habitat. The committee is made up of volunteer members from several chapters, along with TU Staff Representation. The Oregon Council strongly urges each member to contact their local legislator to promote sensible fish and habitat policies. Local constituencies are critical in supporting good fish and habitat management. Workgroups, training and networking are the highlights for our yearly western region meeting. Chapters are encouraged to send representatives and get great info to bring back to their chapters on conservation and chapter operations. Check out the agenda and the details at tu.org. The Clackamas River Basin Watershed Council will hold it's annual celebration on May 17th in Oregon City at the Abernathy Center. Please attend if you can and help support one of our best restoration partners in the region. Check out the CRBC Website for details! As anglers and conservationists, we have seen a renewed appetite for exploiting public lands for energy development and extraction. Please take the opportunity to let your senators and congressional representatives know how you feel about keeping public lands in public hands!